Description:1.Touch Screen size: 7 inch Installation Size:178*100MM2.Voltage: DC 12V3.Speaker impedance: 4ohm4.Maximum power: 50W*45.Volume control: /-8 dB(Bass 100HZ Treble 10KHZ)6.FM tuning range: Tuning range: 87.5-108MHz Applicable sensitivity: 15dB SNR: 50dB Stereo Resolution: 30dB7.Car Parking System Assistance. It will turn into the parking mode automatically, record the traffic. (Rear View Camera Not Included)8.High resolution: 1080P Ful HD. 7" inch LCD Touch screen give you a fantastic experience to watch HD video. Support video playback format of AVI/MP4/FLV/PMP/RM/RMVB/MPG.9.Bluetooth function: Built-in Bluetooth for Wireless Audio Streaming, Built-in Microphone for Handsfree Call. Solve your calling proble. For IOS interconnection, for Android two-way interconnection. Vertical screen and horizontal screen both can be. Item Type: Car MP5 player. Support bluetooth speakerphone, bluetooth music playback. Head Unit FunctionalityCar Radio MP5 Head Unit. Compatible FormatFLAC,MP3,MP4,MP5,WAV,WMA,MD,JPEG. Unit Size2 DIN. format: MP3/WMA/WAV/MKV/FLAC/OGG/APE,Support video format: RM/RMVB/DVD(VOB)/VCD. ★ Support bothAM & FM radio. For IOS interconnection, for Android two-way interconnection. Vertical screen and horizontal screen both can be. Support bluetooth speakerphone, bluetooth music playback. U disk / AUX /Bluetooth /card play. MP5 Player specifics：. Main function:MP5, USB/TF interface,FM, Bluetooth. 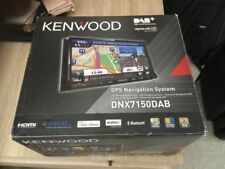 ☆ Head Unit Functionality: Car Radio, Moniceiver, MP3 Player, USB. ☆ Bluetooth version:V2.1. ☆ FM Frequency: 87.5-108MHZ. Bluetooth version: V2.1. Front AUX INPUT for all the smart phones and. radio fm mw/Lw tuner DRS. Bluetooth adaptor hands-free full operation phone calls & streaming audio. front USB port direct ipod and iphone via usb. other mp3 players. Still using the old stereo in the car?. Fits for most DC 12V cars with double-din dash openings. p ower: 4 x 45 Watts. 7 colors of the panel light to choose from. Support 1080P HD video output. Supported Audio Format: MP3 / WMA / WAV / OGG / FLAC / APE and more. BT function,free hand call and BT music. Bass & Treble,L&R channel stabilizer. TV, Video & Audio. Front AUX in function. With Front USB 2.0 port and TF card slot. Support the Video playback format of RMVB/RM/VOB/DIVX/AVI /ASF/3GP etc. PIONEER deh-1300mp car radio stereo cd player Bluetooth,mp3/mwa/aux input. Car radio stereo cd player PIONEER deh-1300mp. Bluetooth,mp3/mwa/aux input. front AUX INPUT for ipod & all smartphones & other mp3 players. radio fm/am tuner RDS. PIONEER deh-1300mp. Bluetooth adaptor hands-free phone calls & streaming audio. Item Type: Car MP5 player. For IOS interconnection, for Android two-way interconnection. Vertical screen and horizontal screen both can be. Bluetooth: Support. Radio band: FM1, FM2, FM3. Mirror link： Support for Android / for lOS. WiFi: Built-in WiFi Modem, support 802.11b/g/n. It is suitable for most VW models. Compatible Car Model: For VW (Universal). - A2DP (bluetooth Stereo Music): Yes, can play stereo music through bluetooth. Bluetooth version:V4.0. Bluetooth version: V4.0. This one with the Lastest tech MIRROR LINK. You can link your phone (support apple and Android) to the play via USB Cable. Bluetooth pairing password: "0000". This one with the Lastest tech MIRROR LINK. You can link your phone (support apple and Android) to the play via USB Cable. MIRROR LINK for Apple and Android phones. unique three screen display function, support video output. 7" Single Din Car Stereo Radio Bluetooth Touch Screen MP5 Player Mirroring AUX. 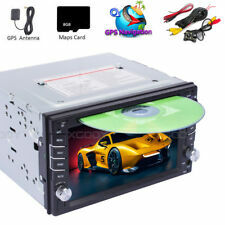 4.1" 1DIN Bluetooth Car Radio Stereo RDS USB/TF/AUX FM MP3 MP5 Player Head Unit. 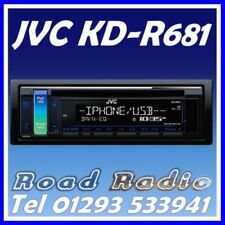 Car Radio Stereo Bluetooth 1 DIN FM USB/SD/AUX MP3 Player Head Unit In Dash IPod. Operation System:Android. Support Wifi connection. Bluetooth version: V4.0. Support Bluetooth audio music and hands-free calls. Support Wireless Mirror Link For iOS and Android Phone. 1 Android Car Stereo. Tuner Features. Vairable 2 Zone Key Illumination. Bluetooth Profile. 4 X 100w Output Power (4 Ohms, kHz,16v). Bluetooth Feature. Version Bluetooth Version 3.0. USB Shutter. Bluetooth Audio Feature. Still using the old stereo in the car?. Fits for most DC 12V cars with double-din dash openings. Displays the vehicle information on the large LCD screen. Supports s ubwoofer o utput, external DAB digital radio, external microphone, 2 r ear USB inputs, 2CH r ear RCA output, 1 Pair r ear A / V input s, 2CH r ear v ideo o utput. Compatible FormatFLAC,MP3,MP4,MP5,WAV,WMA,MD,JPEG. Head Unit FunctionalityCar Radio MP5 Head Unit. format: MP3/WMA/WAV/MKV/FLAC/OGG/APE,Support video format: RM/RMVB/DVD(VOB)/VCD. ★ Support bothAM & FM radio. 1 DIN 7" High-Definition capacitive screen. Resolution：1024 600. Front AUX in function. BT function,free hand call and Bluetooth music. 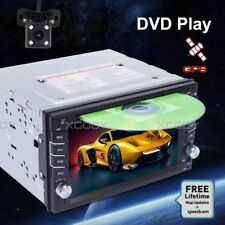 Mirror link function: The car player can mirror link with Android phone by USB cable.